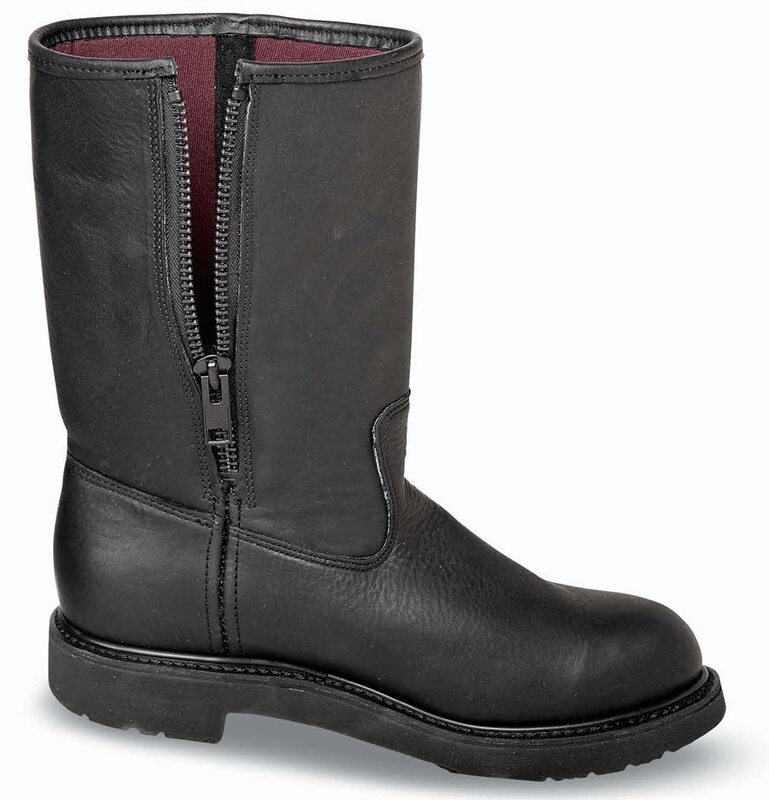 The Hitchcock 10-inch Shock Absorber™ Wellington boot has a sturdy oiled leather uppers with comfortable tricot linings and a full-length side-zipper for easy access. 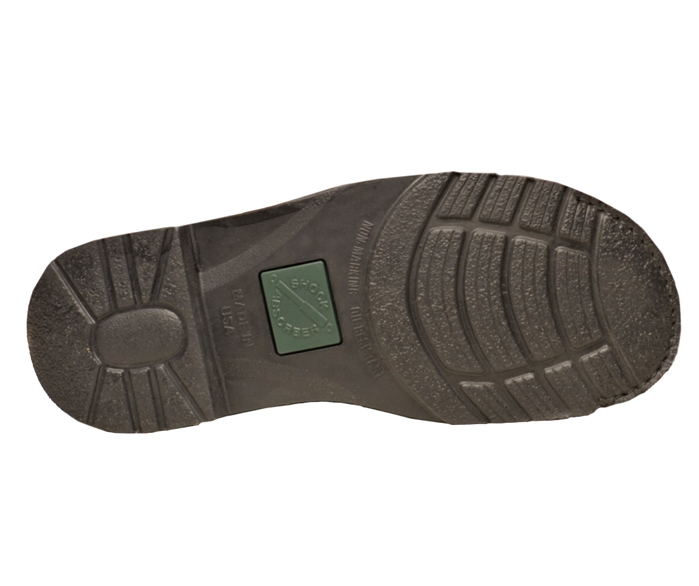 The non-marking, shock-absorbing sole is oil-resistant. Altoona last. 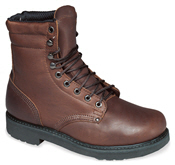 Made in U.S.A. Men's sizes 6–11, 12, 13 in 3E and 5E.